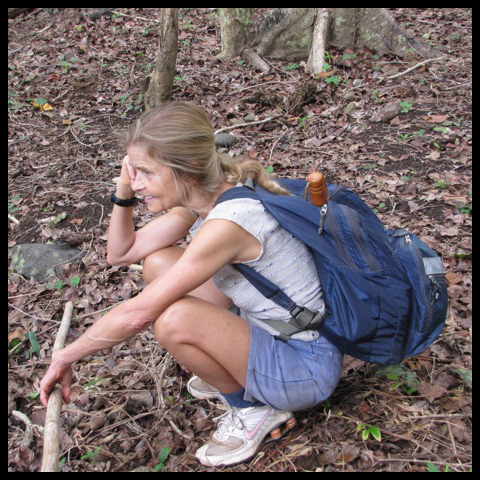 We are proud to have star-gazer and scientist Harriet Witt as our instructor of Primal Science and astronomy. Her thoughtful and engaging teaching style brings the Heavens down to Earth. With more than 30 years experience teaching astronomy and environmental education, Harriet has had articles published in Sky & Telescope, Whole Earth Review, The Griffith Observer, and Spirit of Aloha magazine. Ironically, the initial spark for some of Harriet’s most popular science articles were given to her in dreams by ancient wisdom-keepers. As a teacher of celestial navigation to the crew of the Hokule’a Voyaging Canoe in preparation for its voyage to Rapanui, Harriet’s movement-based teaching was inspired by the tradition of native Hawaiians to pass on their knowledge of astronomy through dance and chant.